The UFC president was blown away by Mark Hunt and Bigfoot Silva's performance in Brisbane. The main event of UFC Fight Night in Australia wasn’t supposed to even make it out of the first round with knockout artist Mark Hunt and fellow finishing machine Antonio "Bigfoot" Silva squaring off inside the Octagon. Instead, fans were treated to a five-round instant classic in which Silva and Hunt battled back and forth in a brutal, bloody and unbelievably exciting heavyweight affair. Both fighters gave every ounce of energy and when it was over there was nothing left in the Octagon but respect between the two former training partners who at one time had worked together at American Top Team in Florida. Both Hunt and Silva win FON and both get their win bonus and I might buy them both their own private ISLANDS!!!! Sickest HW fight ever!!! The back-and-forth fight was so close that when the judges’ scorecards finally came down, Silva vs. Hunt was scored a majority draw. Now typically a draw – as rare as they are in MMA – tend to come along with a loud roar of boos, moans and groans from the audience, but considering how electrifying the fight was between Hunt and Silva, the truth was no one deserved to walk away the loser. I agree that I have NEVER been so happy with a draw in my life! I am happy it was a draw. Winner of that fight is US the fans!!! 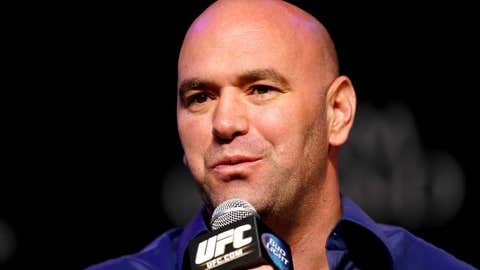 UFC president Dana White agreed and when the fight was over he declared that not only would Hunt and Silva win the ‘Fight Of The Night’ award, handing each fighter $50,000, but they would also both be given their win bonuses for their respective performances. "Both Hunt and Silva win (Fight Of The Night) and both get their win bonus and I might buy them both their own private islands!" White tweeted. "Sickest heavyweight fight ever. I agree that I have never been so happy with a draw in my life! I am happy it was a draw. Winner of that fight is us, the fans!" It’s hard to argue with the UFC boss’s logic considering just how much both Hunt and Silva put into that fight, and now they’ve been rewarded financially for their efforts.